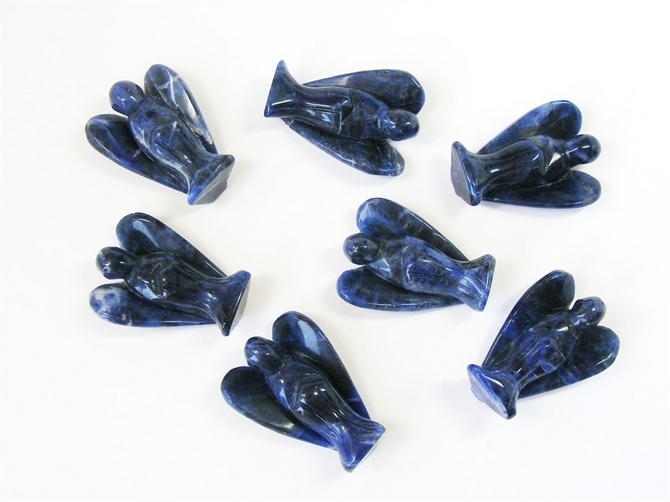 Each lovely Angel is individually hand carved and is approx 40mm tall and weighs approx. 16grms. 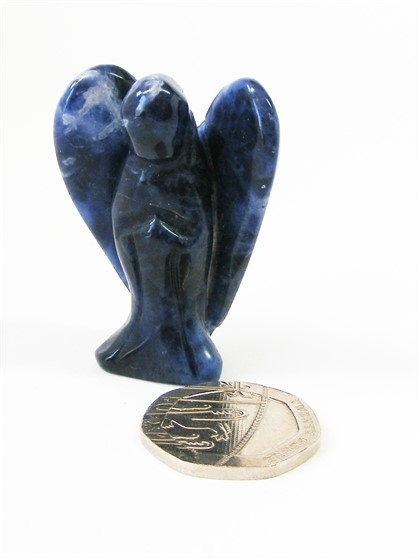 Sodalite may be beneficial in helping with problems of the throat, larynx and vocal chords. It is also said to help with digestive disorders and with problems caused by calcium deficiency. Sodalite may help to lower our blood pressure, prolong our physical endurance and is said to help us get to sleep more easily. Sodalite encourages us to be much more rational and objective and to arrive at answers in a much more logical way rather than letting our emotions rule our head. It is of great benefit to those who suffer from neuroses and irrational thoughts as it helps to calm our mind and helps us to just "lighten up" a bit. Sodalite is an excellent stone for groups of people working together as it encourages companionship, friendship, mutual dependence and solidarity. It improves our levels of self-esteem, trust in ourselves and trust in others and also enhances our communication skills. Working with Sodalite may also help to provide us with a new outlook or new perspective on life as it is excellent at releasing our innermost feelings of fear and guilt, our phobias and control mechanisms etc and enables us to give voice to our true feelings. 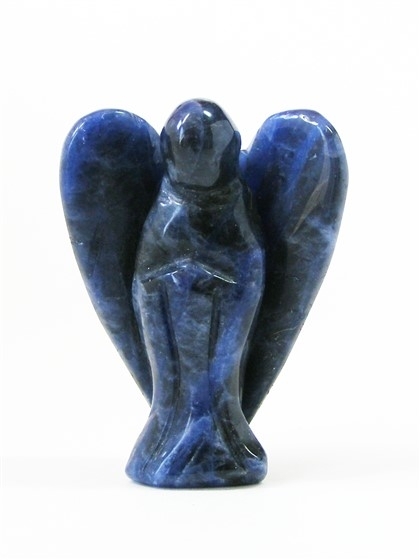 Sodalite helps us to be more aware of the spiritual side of our life. It deepens meditation when used on the third eye and provides us with an easy route to understanding the sacred laws of the universe.